Norman Phillips Organisation has more than five decades of experience in the corporate hospitality and entertainment arena we occupy the perfect position to achieve the best results for our customers. We are totally independent and impartial. We are not an artiste management house and our sole obligation is to you our customer. Our sole aim is to get the best value for money agreements we can on your behalf. 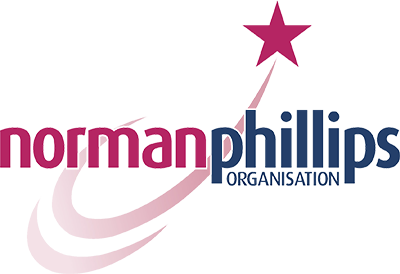 Norman Phillips Organisation are skilled negotiators in the entertainment business, we have direct routes into an almost endless array of performers, meaning we can acquire their services at the most competitive rates. We have a simple philosophy; for us to succeed you must succeed, we’ll do all the work and leave you to take all the applause from your chosen audience. With the Norman Phillips Organisation what you see is what you get. We will advise and facilitate free of charge and, by developing an understanding of your specific requirements and the culture of your company, we will match your needs with a performer or service offering that will deliver the desired result. With us there are no research or consultancy charges – the only fee you pay is when a booking is confirmed. We pride ourselves on being the foremost entertainment agency in the UK today, achieving the perfect blend of business and pleasure on behalf of each and every one of our customers.